The US Navy dispatched several ships to the South China Sea, to the area which is territorially disputed between several states in the region. The Navy Times reported Thursday that the US sent the USS John C. Stennis, two destroyers, two cruisers and the 7th Fleet to the South China Sea. Earlier, it was reported that China had sent fighter jets to the Woody Island, which is one of the disputed Paracel Islands (Xisha) in the South China Sea. Chinese Foreign Ministry Spokesman Hua Chunying in response to media reports said that the deployment of the Chinese fighters to the disputed island is absolutely legitimate as the area falls under the sovereignty of China. The US is trying to prevent military activities in China in the South China Sea under the pretext of freedom of navigation. 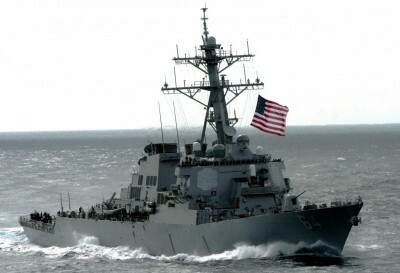 Last October, the Pentagon conducted its first FON in the South China Sea, sending the USS Lassen within the 12-mile territorial limit of Beijing’s artificial islands in the Spratly archipelago. The move elicited outrage from Chinese officials. The coast is the object of territorial disputes between several states in the region. Nearly a third of the world’s marine cargo passes through the South China Sea and the offshore islands located there are rich in oil. Apart from China, the islands are claimed by members of ASEAN, Brunei, Vietnam, Malaysia and the Philippines.